Whoosh your psychic sensory ability 'Upstairs to the Universe' by learning to read tarot cards in 6 easy workshops. Looking to change your career? 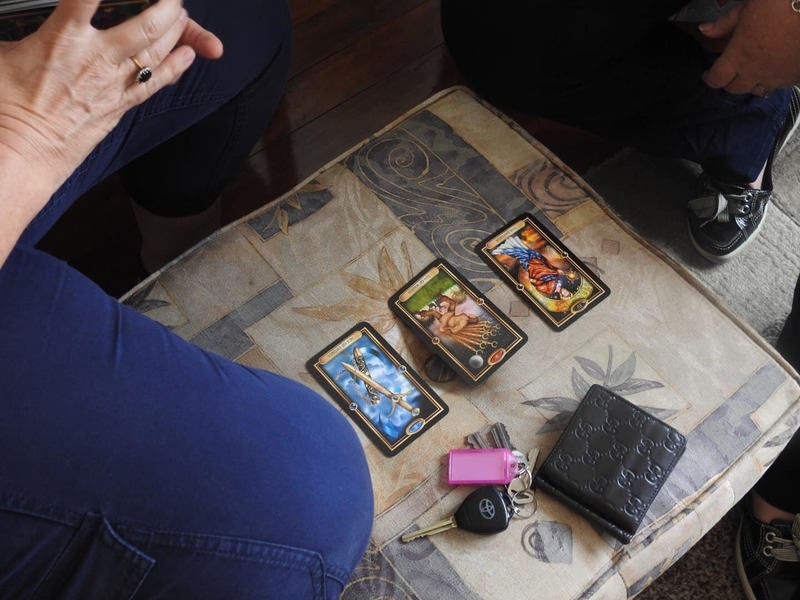 Have you thought of becoming a professional Tarot card reader? Andrew’s charisma makes it impossible not to enjoy his teaching style, and most importantly, he is generous with the information that he imparts to his students. Andrew is an amazing psychic tarot teacher. Andrew shares his knowledge and amazing experiences in a warm and welcoming environment. Andrew is very encouraging and makes the course a wonderful and positive learning experience. 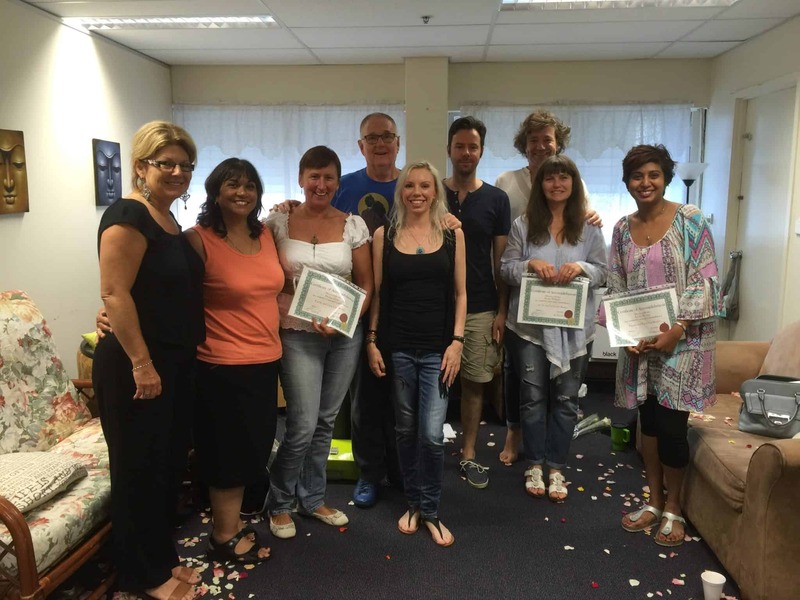 This course helped me to become an intuitive reader and trust my intuition more. Learn what it’s like to ‘be’ in the bliss of your psychic, mindfulness space by…. • Learning the true ‘psychic’ secret in tarot reading. • And the magic of the Tarot with ‘Psychic of the Year’ Andrew Warnes. • By learning about the Tarot and what each card means. • And have the flexibility to learn to easily connect with whatever tarot, angel cards or other medium you choose to use. Andrew is an innovative and encouraging teacher! He really pushes you to excel and trust in yourself. 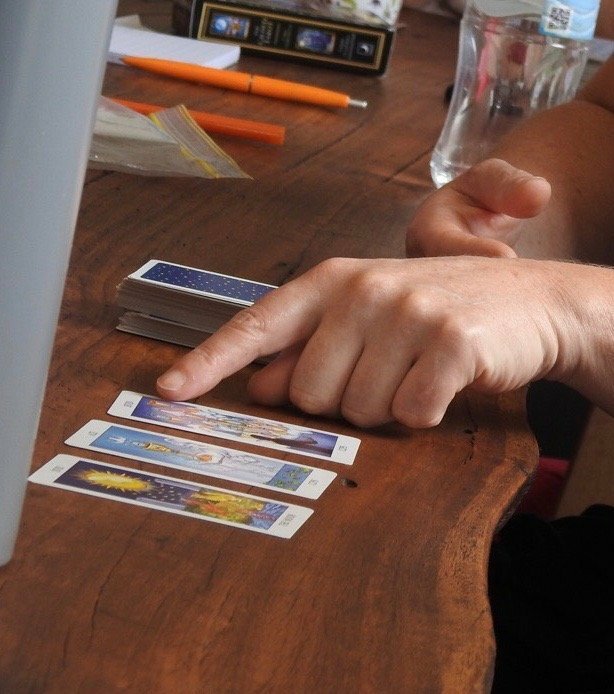 Andrew answers every question honestly and thoroughly and through providing such clarity gives each person more confidence for their own exploration of the Tarot. I really enjoyed this course and have already been recommending this to my friends. The course was well structured and I have now a good understanding of Tarot cards and I am starting my own business as a Tarot reader. Early bird cost is $150 and must be paid 3 days before commencement of the Read Tarot Cards Workshop series. 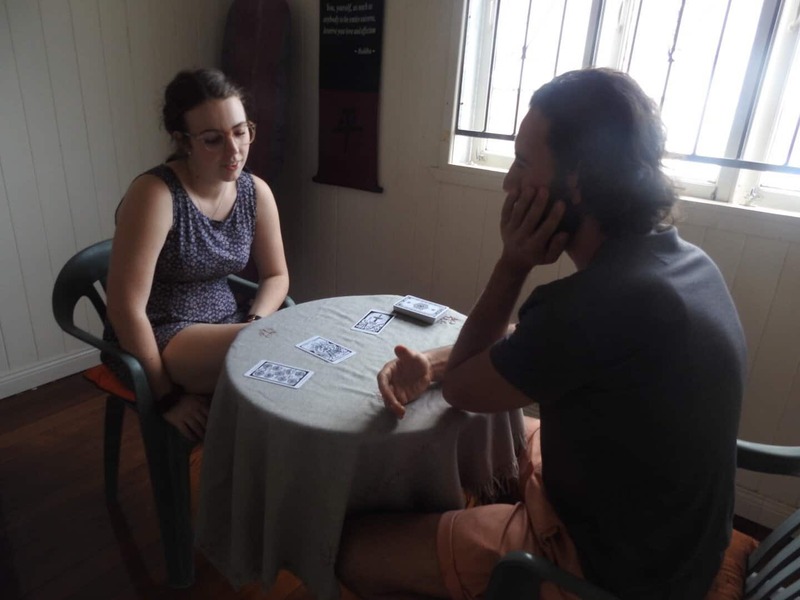 Andrew provides a very insightful exploration of every aspect involved with reading Tarot cards and creates a safe environment for readers to practise and reconnect to their own deep intuition and wisdom. What I learned in this course was to trust my intuition and jump in to the reading without letting self doubt get in the way. I also learned the many different ways you can interpret each card. Practising readings over and over again in this safe space gave me the self realisation that I could consider this seriously as a profession. Our Next Series of Workshops starts May, 25th. Note carefully the dates of the course all start times are 1:00 pm (to about 5:00 pm) on a Saturday. The dates are…. The venue is at Andrew’s Consultation Rooms in New Farm. Numbers are strictly limited and it’s a 6 session series of workshops. 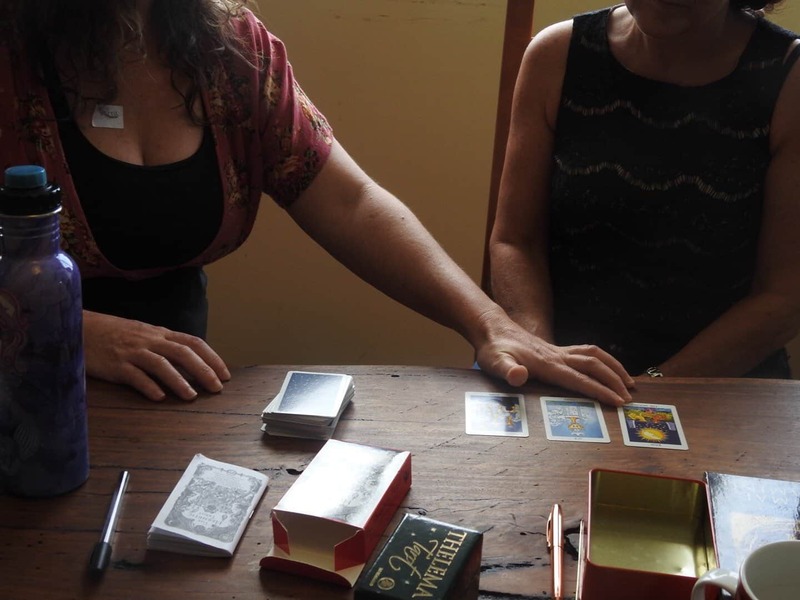 We try to keep our Read Tarot Cards Workshop series as small as we can, we therefore cap attendance to eight people. It’s highly individualised with close teacher/student contact and you’ll have many psychic readings done on you. At the same time you’ll be gaining one-on-one psychic reading experience in our unique, protected environment. So imagine what you can learn about your journey simply by attending, doing readings, and receiving readings from other students, Psychic Andrew and our visiting professional psychics. Learn things like how your relationship is developing, or whether it’s ever going to develop. Maybe, you’re not in a relationship and wonder if love will ever come your way. Perhaps you want to travel. Or a great new job (as a psychic). Or even moving house—locally, or to another state or country. Yes, the Read Tarot Cards Workshop series is that diverse. We invite past graduates to come and visit to give their insights of how they’re going. Some of these people are now professional psychics so it’s great to hear what they have to say. Then, after you’ve finished you can come back. That’s right! You’re in our ‘community’ of like-minded people who can come back at any time. We call it our refresh, learn more, get more experience or just plain hang out opportunity. No extra cost, just support new students, and spread out psychic word. 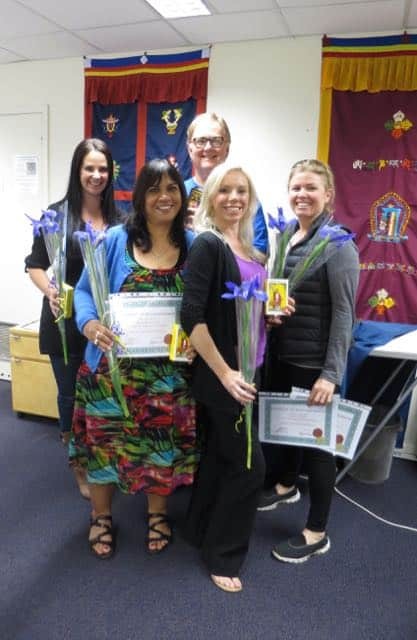 On completion you’ll receive your own signed certificate and an assurance you’ll short-track yourself into a psychic reading role in fairs, crystal shops, markets, international phone-up services and even full membership into the International Psychics Association. Andrew’s confidence in his students intuitive abilities helped me to believe in myself and to begin to trust my own intuitive capability. Thanks Andrew. 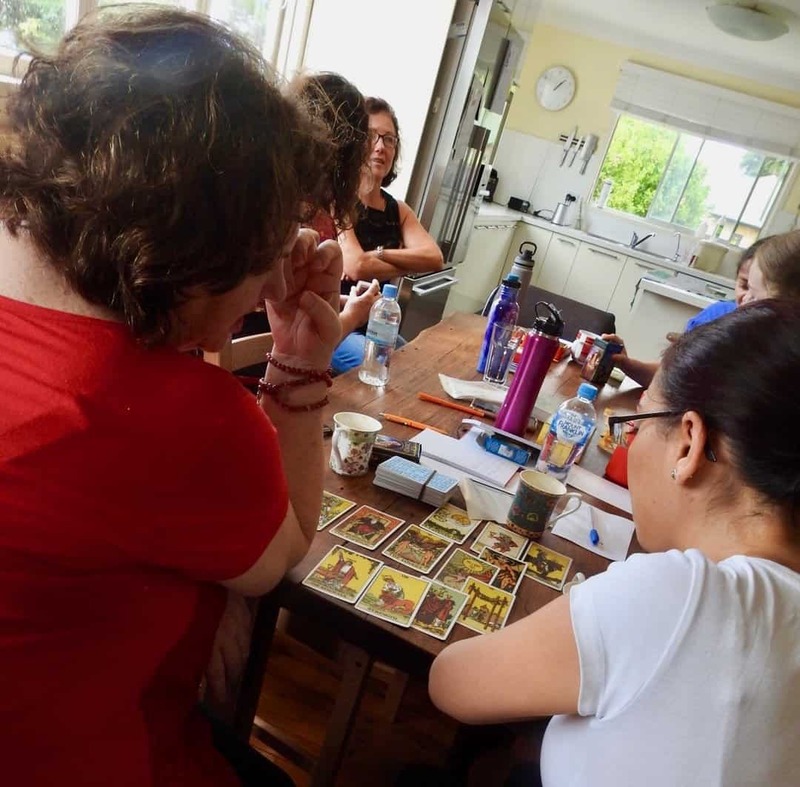 The course was great to get familiar with the major arcana and to progressively build on self-confidence from a beginner’s stage. I personally found that it helped to do further reading after class to better grasp each card’s symbolism, including the minor arcana. Readings improve with more practice, and I intend to do it as a side business over time. The course was a positive and amazing learning experience. Andrew was very encouraging and engaging. The course materials were excellent. 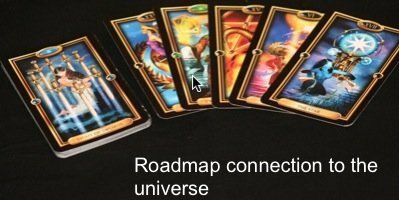 I learnt how to interpret the cards with Andrew’s guidance. I would recommend and encourage others to do this course. I learnt that we all have an innate intuitive ability we just have to trust ourselves and let go a little to receive. Want to know more? Call Andrew NOW on 1300 460 333 or +61 414 544 543.